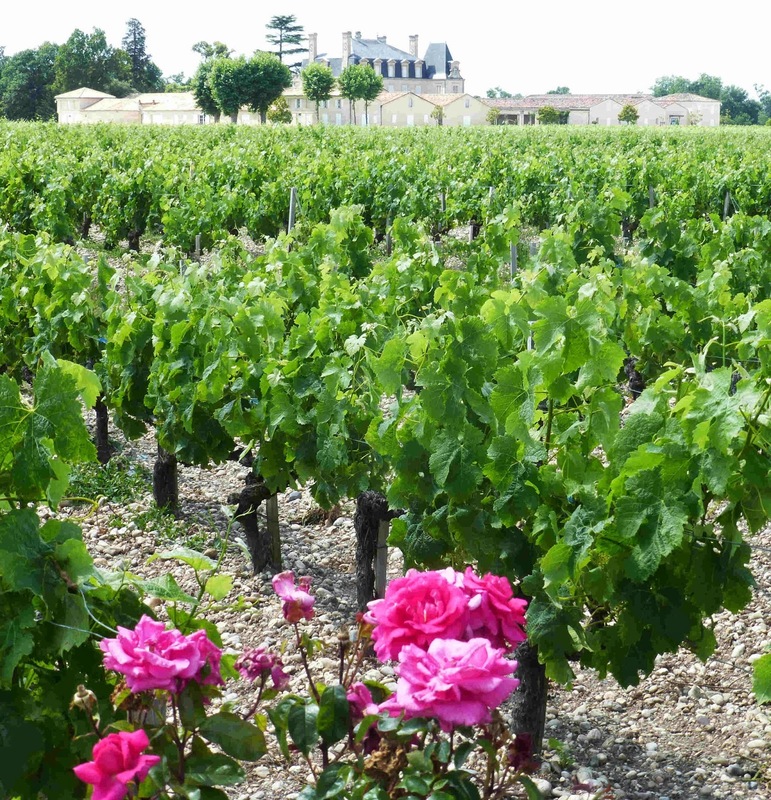 If we took it easy yesterday, the French did so today, virtually nothing stirring this holiday Monday as we drove through the countryside from Arcachon to the village of Bages on the outskirts of Pauillac in the Medoc. Indeed, we were wondering if we would even get lunch anywhere. On the way back, we had a different worry: where would we get petrol? In any event, both “problems” were solved. It seems that more outlets close on a French National Holiday than close on a Sunday. We were originally heading for Moulis, one of the smallest appellations in the Medoc. In particular we were looking for the Maison du Vin in the village. The thought struck us as we neared that it could be closed and a quick look at our Michelin Wine Regions of France confirmed the sinking feeling. Since we were so close, we said we’d take a look as the book was published a few years ago. The Sat-Nav found the correct street but we couldn't see any sight of the Maison. A mystery. 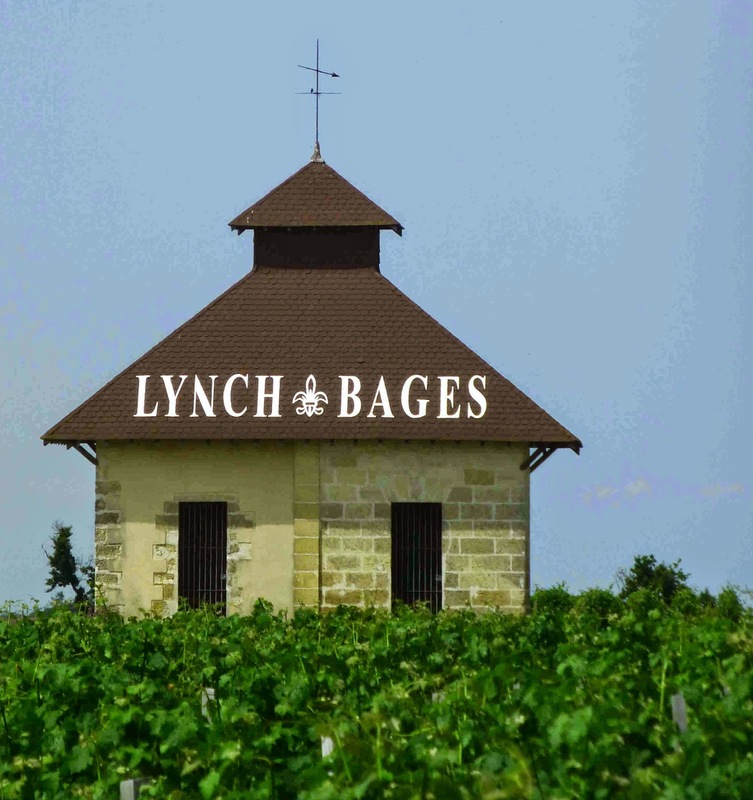 Carried on further up the road, with the village of Bages, at the gates of the Lynch Bages chateau, our next target. 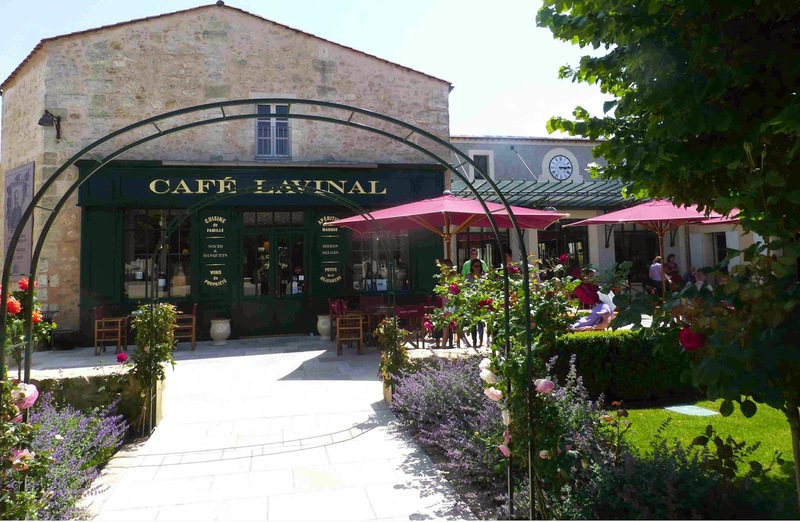 The run-down village has been reconstructed and revitalised by the winery and has some thriving food and drink related shops, adding value to the chateau’s core business. Luckily for us, the restaurant was one of the few premises open and we called in and asked for a table. It is popular restaurant and we had to wait a spell for a table (inside, none available outside) to be cleared. 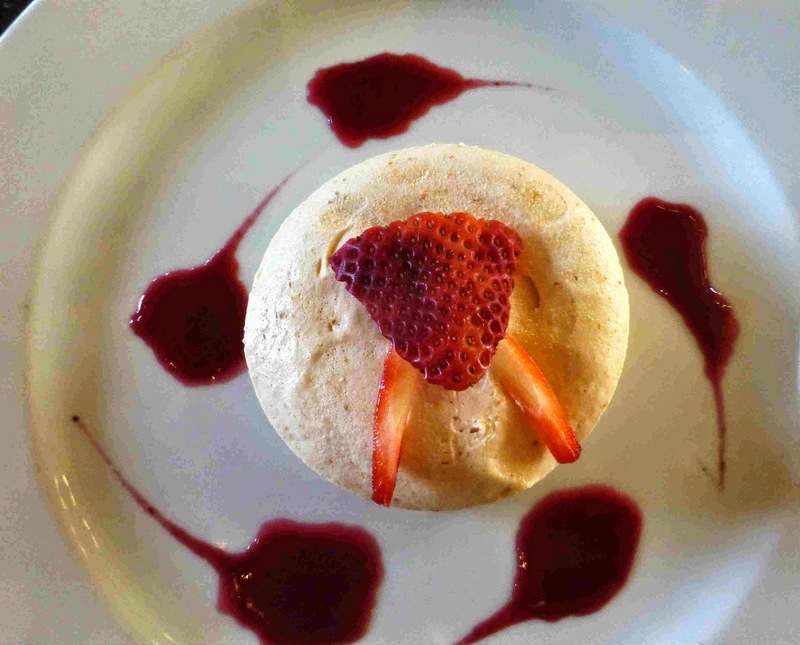 It was well worth the short wait and we enjoyed a three course lunch for 28 euro each. 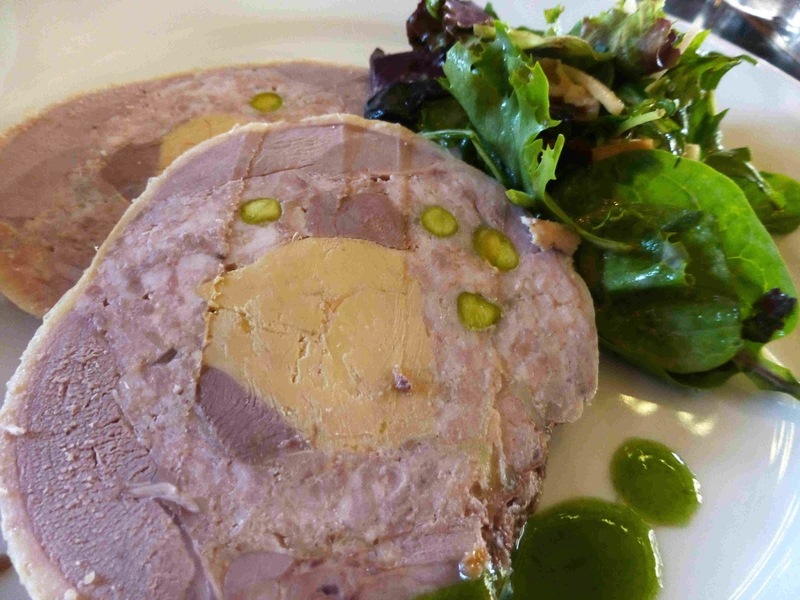 Started with the Chef’s own Galantine of duck and foie gras, very flavoursome and quite substantial for a starter. The main event saw CL go for the Pan-seared Hake, Lemon Beurre blanc and ratatouille. 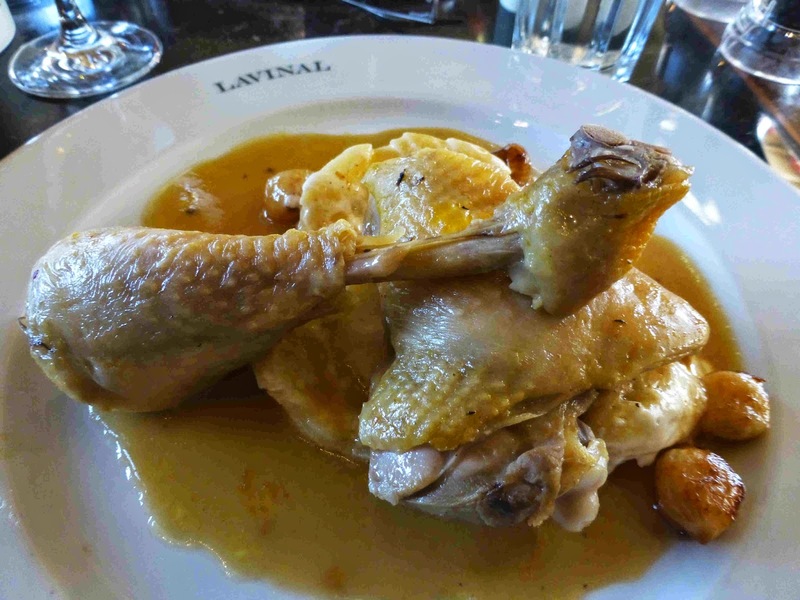 She was delighted with that and I was very happy indeed with my Traditional Chicken Fricassee and Dauphinoise Potatoes. Hardly earth-shattering dishes but the produce was top notch and was really properly cooked and presented. Service all round was friendly and excellent. Desserts were Iced Nougat with caramelised almonds for me and a Mango Passionfruit Cheesecake for her. An excellent finish and the apres digestif was a walk around the village, the chateau (walls! ), and the the nearby vineyards. The petrol gauge dipped lower and lower on the way back but again the villages were sleepy, action only evident as we approached the major roads, though even here a large Leclerc station was shuttered. Eventually, relief came in the shape of an very busy Auchan Supermarket close to Arcachon. Here, I stuck in the credit card, followed the instructions (not too difficult) and filled her up, all ready for Chateau Bauduc in the morning. One of the oldest properties in the Médoc. Now, if only that thunderstorm outside would move away. The one in the morning did and gave us a lovely day again with temperatures up around the thirty mark.